Nokia's next product launch set for October 22, Lumia phablet incoming? Nokia’s 6-inch Lumia 1520, which we first saw in leaked images a couple of weeks back, was originally intended to be unveiled at an event next week. But amid news of Microsoft’s acquisition, rumors started to emerge that the company was pushing those plans back until October. Well, Nokia just revealed via Twitter that it’s holding an event on October 22nd, and though short on details it’s likely the phablet will be there. Code-named Bandit, specifications for the device are said to include a 1080p display, a quad-core Qualcomm Snapdragon processor from their latest range, and a 20-megapixel PureView camera. 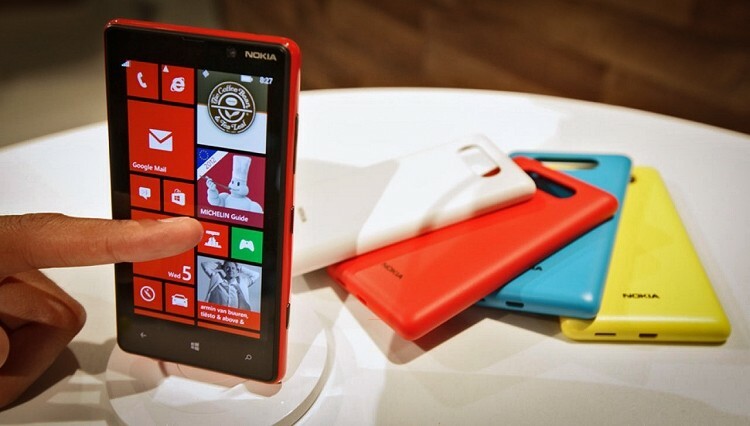 Up until now Windows Phone screen size has topped out at 4.7-inches with the Lumia 625. Not only is the 1520 expected to be the first Windows Phone 8 device to sport a display of such proportions, it also expands upon the currently supported resolutions of 800 x 480, 1280 x 720, and 1280 x 768 with an all-new 1920 x 1080 configuration. To accommodate the 1080p display, the 1520 would come preloaded with a new version of Windows Phone 8, GDR3, that will bring support for larger and higher density displays. Another possibility for the event is Nokia’s rumored 10.1-inch Windows RT tablet, codenamed 'Sirius’, which was also spotted recently in leaked images. The device is said to sport a Snapdragon 800 SoC with Adreno 330 graphics, a 6.7-megapixel rear camera, LTE connectivity, and a battery-equipped keyboard cover. We won’t know for sure until the event next month -- or until more evidence inevitably surfaces. For now the company is giving us very little aside from the tweet below and stressing on ‘innovation’.